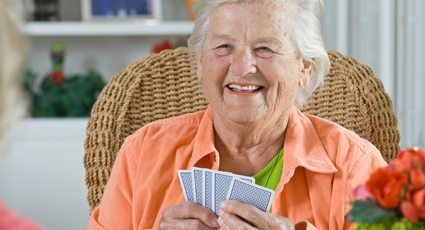 Waverly’s only nursing center has evolved from a “home for the aged” to a multilevel retirement community, offering a full range of health care and retirement living services on ONE campus. Bartels Lutheran Retirement Community is still located at the same address where it opened in 1954, but a succession of construction projects has changed its look and expanded its services to the community. Building additions in 1955, 1962, 1967, 1972 and 1977 increased the home’s capacity from 11 residents to more than 230. 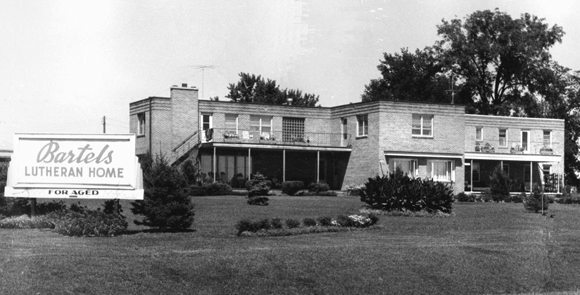 Apartment living made its first appearance on the Bartels campus in 1987 when the Eichhorn Haus 38-apartment retirement complex opened. 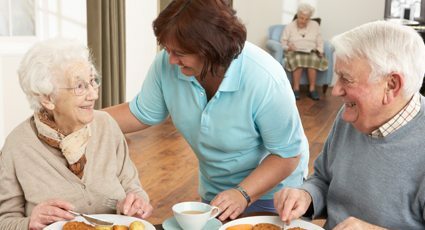 This new level of service was one of the first independent living retirement centers in the area, offering secure, comfortable living for those who want to be part of a broader retirement community. 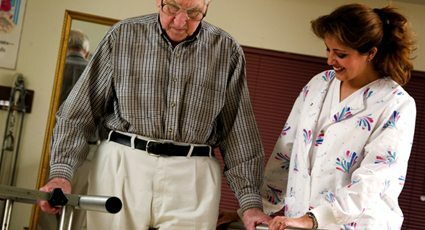 The 1990s brought specialization of services to the nursing center. A 15-bed skilled nursing unit opened in 1991, a 17-bed Alzheimer’s center opened in 1994, home health services opened in 1995, and dedicated hospice services opened in 1996. The succession of building additions created new bed space for residents, but didn’t address the aging condition of the buildings, some nearly 50 years old. A new Future Planning Committee was established in 1997 to do just that. The committee worked with architects to study the condition of buildings, assess future needs and develop a strategic plan for the Bartels organization. The result was a new master site plan to renovate and replace current facilities and add a new assisted living service to the community. The $10 million building project began in 1999 with construction of Linden Place, the new 30-unit assisted living facility which opened in 2000. Work soon began on a new 30-bed Alzheimers center, Evergreen Arbor, to replace the current 17-bed unit, and the new 96-bed nursing center Woodland Terrace. The project included a new 2,635 square foot community room/chapel, ice cream den, greenhouse and other special amenities. Grand opening festivities took place in May 2002. The organization changed its name to Bartels Lutheran Retirement Community in 2000 to better reflect is evolvement into a continuing care retirement community. Corporate church sponsorship grew from nine to 13, including the addition of non-Lutheran churches. 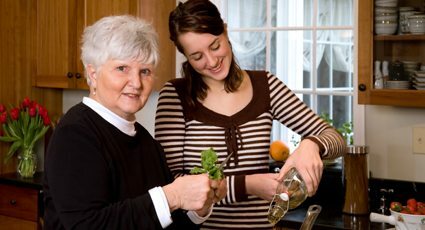 Bartels-At-Home, the organization’s new in home services program, was introduced in 2007. This program offers clients the opportunity to receive the quality, Christian services Bartels is known for in the comfort of their own home. Ground-breaking for Eisenach Village, a 55+ Active Adult community located on 31 acres north of the Bartels campus, was held in 2009. Eisenach Village showcases architecturally appealing and thoughtfully designed homes with amenities to enhance your carefree lifestyle. In April of 2009 Deb Schroeder, President / CEO of Bartels Lutheran Retirement Community, announced that David F. Bolger, a well-known philanthropist and President of the Bolger Foundation, pledged an historic charitable contribution to Bartels Lutheran Retirement Community. The gift, in memory of and in honor of A.H. and Esther Niewohner and their Family, provided funds for the expansion of Bartels Skilled Nursing and Rehabilitation Facility which was completed in 2011.